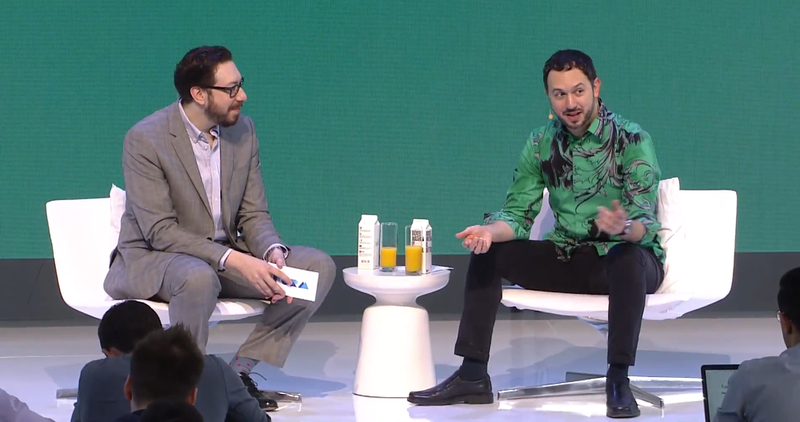 FORM, an invite-only design and technology conference hosted by Google, featured a fireside-type chat between Bloomberg’s Joshua Topolsky and Vice President of Design at Google Matias Duarte. Over glasses of mimosas, they sat and talked about such heady topics as the role of material design in Google products, the very fine balance between guiding and imposing interface languages, and the future of design itself. The conversation is now available in its entirety on YouTube. You will be disappointed if you were hoping to hear Matias impart fashion advice (where does he get those shirts? ), but if new ways of thinking about the aesthetics of software interests you, the video is definitely worth a watch.